Students that take voice lessons at B2R can choose their own songs, putting them in the driver's seat of their musical development. 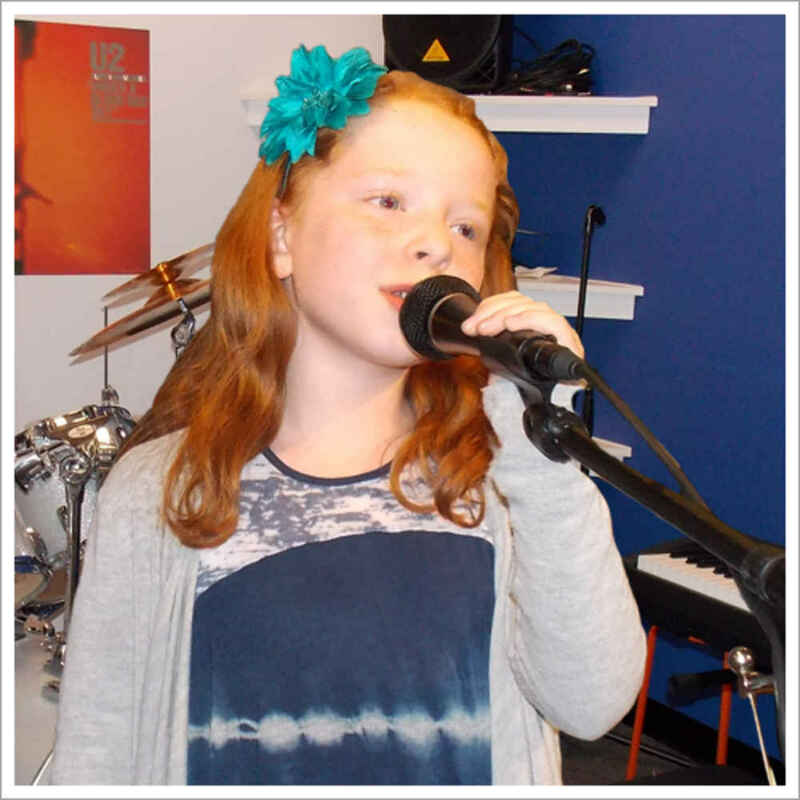 They will also be strongly encouraged to sing in a variety of styles, rock and pop through classical, learning essential skills such as voice projection, the creation of a clear vocal tone and correct breathing techniques while gaining a greater understanding of melody in music. Vocal students are urged to enhance their private study by working with one of B2R’s jam bands or ensembles, since this is the way most vocal music is actually performed. The ability to interact with other musicians, matched by age and ability, provides a powerful stimulus for learning and creates an exciting performance and social setting for a student’s overall musical growth and development. "Liz is very patient and a great voice teacher." "Personalized individual lessons offered conveniently with a dedication to satisfaction and an overall positive experience." "Bach to Rock is professionally run and has fantastic instructors who motivate and encourage self confidence." "Everything. Talented teachers who inspire my children and a wonderful and accommodating staff!"